Lewis Hamilton has been named the Peta person of the year for his promotion of a vegan diet. The Formula 1 driver has been singled out for praise by Peta – People for the Ethical Treatment of Animals – for his discussions of a plant-based diet in the international press and on social media. Hamilton has said he supports the vegan diet for health reasons and to behave in a kinder way towards other species. He also cited greenhouse gases produced by cows as a reason for his diet. Peta founder Ingrid Newkirk paid tribute to the racing driver and the message he delivers to his millions of online followers. 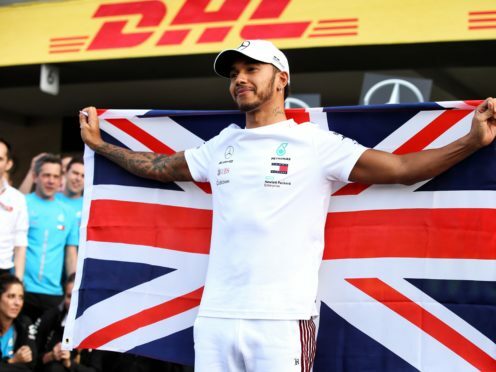 She said: “Lewis Hamilton has proved to be not only a fantastic driver but also a force for good and a powerful ally of animals used for food. Past recipients of the award include Ricky Gervais and Brian May.